I hope we can all agree Robert Zak is at least partially to blame for me shooting him in the back. If anything, I should be given props for my excellent aim and speedy trigger finger. Sure, he was on my team, but I had less than a second to get that headshot. If you are going to run across an alley in the middle of a firefight you should let everyone know that is your intention. In fact, I am glad I shot him. It is a great way to demonstrate the importance of communication in Insurgency: Sandstorm. 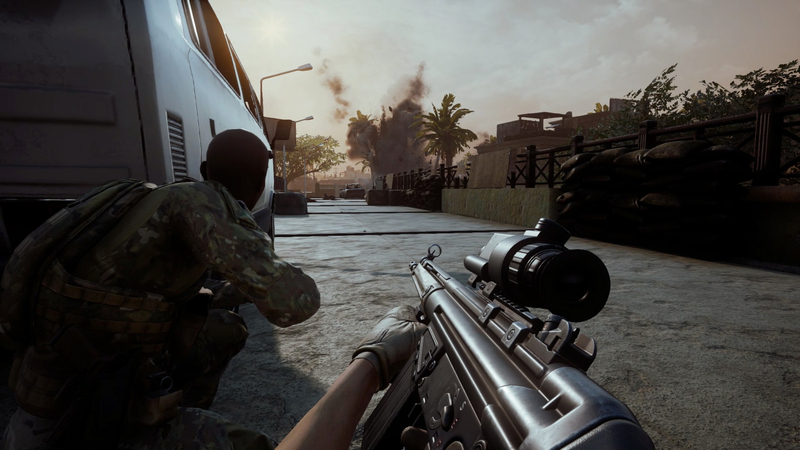 Insurgency: Sandstorm is an unforgiving multiplayer game in which a single bullet is often lethal – even after it has passed through a wall. It is dipped in the blood of veteran military shooters – like Ghost Recon, Rainbow Six, and Spec Ops – which means that it feels remarkably familiar, like slipping on an old pair of khakis. At a recent event I was able to take part in a seven player co-op match of Insurgency: Sandstorm’s Checkpoint mode. The rules are straightforward – you have to advance through a sand-blown town capturing a series of points from the AI-driven enemy soldiers. While you can respawn, you can only do so after your team have managed to capture a checkpoint. This brings a lovely tension to each advance – as your squad is thinned down by the enemy’s bullets (or your misfiring teammates) the pressure on the unit increases. Then, after taking the point, your ranks are replenished before you make a fresh advance on the next objective. You and your team must move as one, covering each other as you push forward, and flanking enemies once they have been suppressed. You have to communicate with each other to pull your mission off successfully. If you don’t, you end up like regular PCGamesN writer Robert Zak, a bullet through the brain and the sound of a million profuse apologies ringing in your headset. Insurgency: Sandstorm’s developers do not encourage such tragic mistakes. Not exactly. But they have allowed plenty of room for them by leaving out in-game aids that would keep your squad safer. The most obvious of these is in how the game has friendly-fire enabled. During our session, we had reduced damage for friendly fire but, as I proved, it was still lethal. Then there is the HUD. 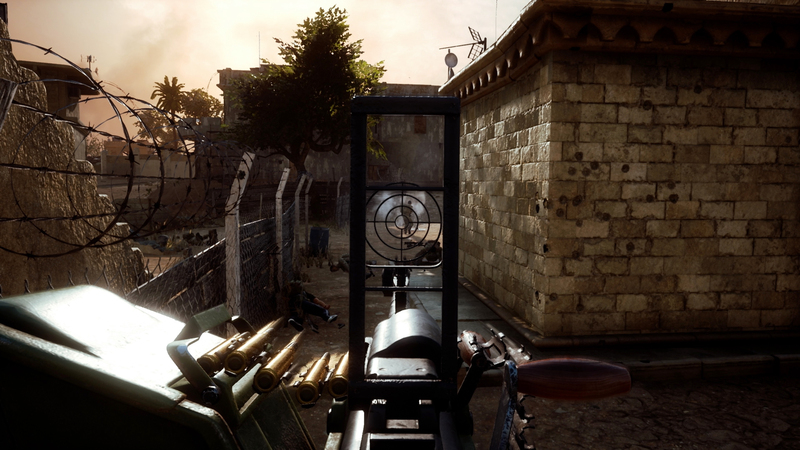 Insurgency: Sandstorm is a game prided on its minimalist HUD – even leaving out an ammo counter. When you see another player, there is no green diamond to visibly warn you not to shoot them. If you hover your crosshairs over them for a few seconds then their name in white will appear but, in the thick of a firefight, you are not going to wait for that indicator to pop up. 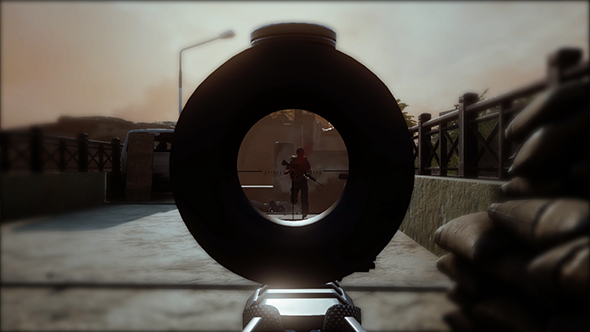 Even worse, If you are looking down a sniper scope then there is no HUD indicator at all. The effect of these missing safeguards is that you and your team quickly learn to take things slowly, calling out your encounters with the enemy, and making your intentions known. By the end of our demo we were announcing our movements, checking we were both being covered, and were not in danger of being clipped by our friends. While some players may be put off by deliberate obtuseness, the lack of hand-holding imbues Insurgency: Sandstorm with a sense of threat. The game’s developers demand a certain standard of play from you and will let you know what it is by punishing deviation. Frankly, it is refreshing to play a game like this again – an unforgiving co-op shooter. You could argue that I taught my team how to play Insurgency: Sandstorm, using Zak as an example of what can happen if you play the game like Call of Duty – in other words, how you shouldn’t play it. Yeah, that sounds believable. Let’s go with that.